A memorial for the garden is a beautiful way to remember a beloved pet. 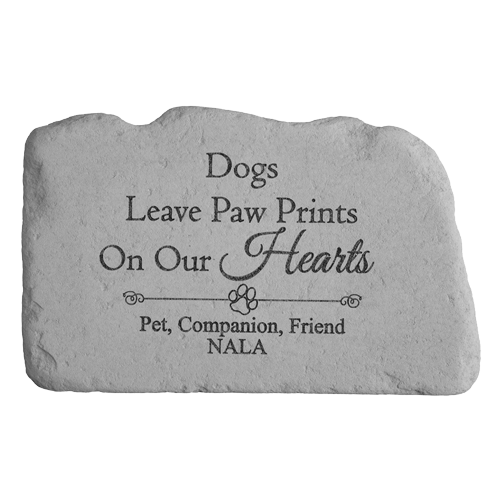 "Dogs leave paw prints on our hearts" graces the memorial and accompanied by your own personalized 3 lines of text. Made with cast stone and fused glass, the personalization is permanently embedded into the remembrance. Made in the USA and comes with a lifetime guarantee.